The U.S. Navy Carrier Strike Group. An illustration by Austin Rooney for the United States Navy. High resolution image. Carrier Air Wing. High resolution image here. The carrier strike group commander operationally reports to the commander of the numbered fleet, who is operationally responsible for the area of waters in which the carrier strike group is operating. 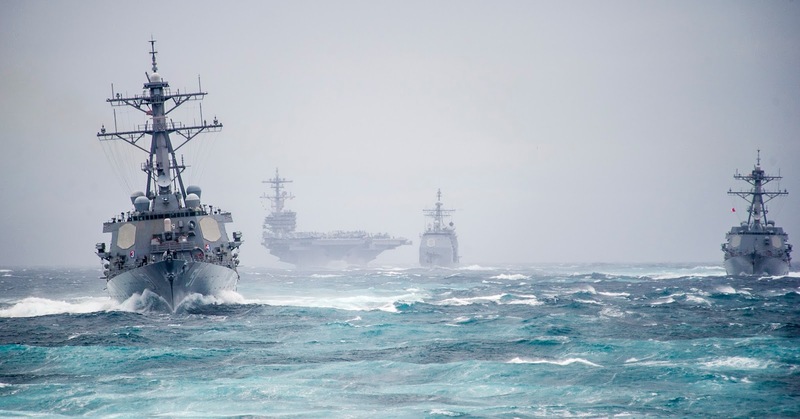 Carrier strike groups comprise a principal element of U.S. power projection capability. 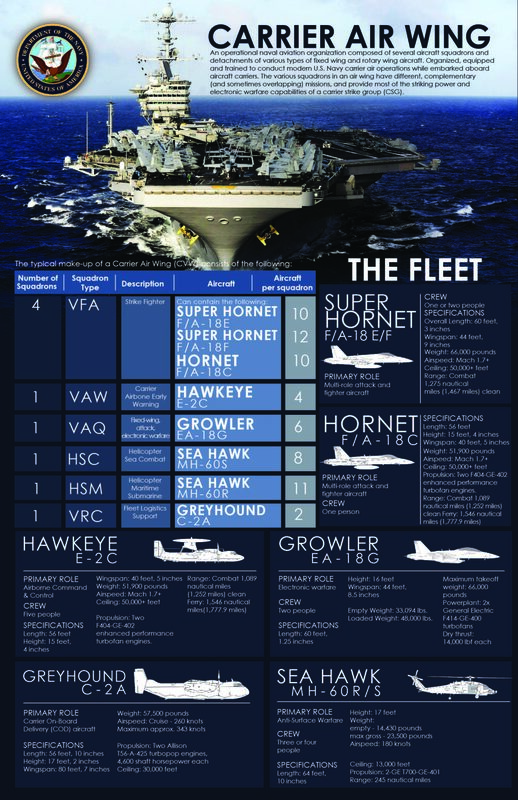 Previously referred to as Carrier Battle Groups (a term still used by other nations; the change in nomenclature from 'Battle' to 'Strike' appears to have been connected with an increasing emphasis on projecting air power ashore), they are often referred to by the carrier they are associated with (e.g., Enterprise Strike Group). As of March 2016 there are ten (10) carrier strike groups. 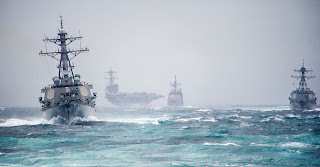 The carrier strike group is a flexible naval force that can operate in confined waters or in the open ocean, during day and night, in all weather conditions. The principal role of the carrier and its air wing within the carrier strike group is to provide the primary offensive firepower, while the other ships provide defense and support. These roles are not exclusive, however. 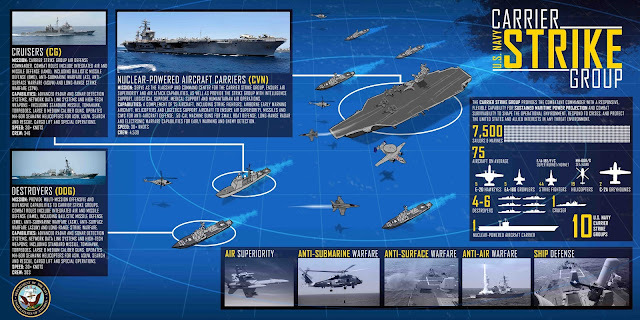 Other ships in the strike group sometimes undertake offensive operations (launching cruise missiles, for instance) and the carrier's air wing contributes to the strike group's defense (through combat air patrols and airborne anti-submarine efforts). Thus, from a command and control perspective, carrier strike groups are combat organized by mission rather than by platform.